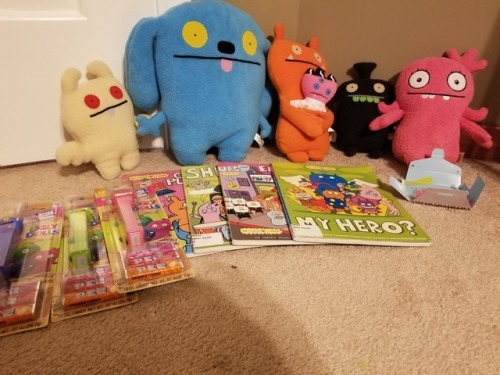 Wanted to see if there's any Uglydolls fans here on the wiki or not, and to see who's excited about the upcoming movie! What about the movie? What do you guys think about it? I mean, I know it has the "be yourself" plot that a lot of things have already had, but I really think it can grow to be its own thing, and I'm really excited to see it, even if it's at an inopportune scheduling time on the calendar for a release. I like these much better than the droopy eyed things with the realistic teeth. Those things can rot! 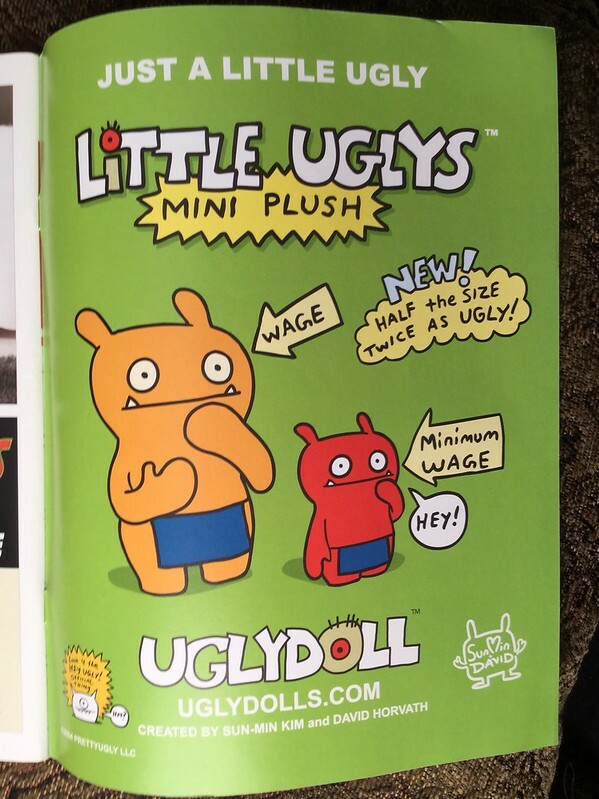 Ah yeah, Fugglers, so many people try and pull a "but they're not even ugly!" 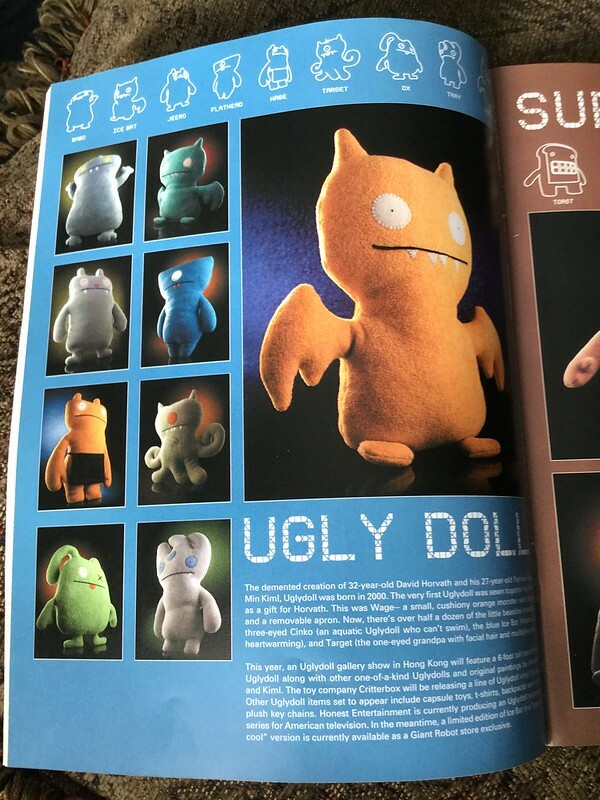 thing about Uglydolls, and that just makes me think they'd rather have THOSE animated for a movie, something that I don't think anyone should be subjected to. I like Fugglers, especially this one.I admit, some of them do look diseased or worse but they're pretty cool. 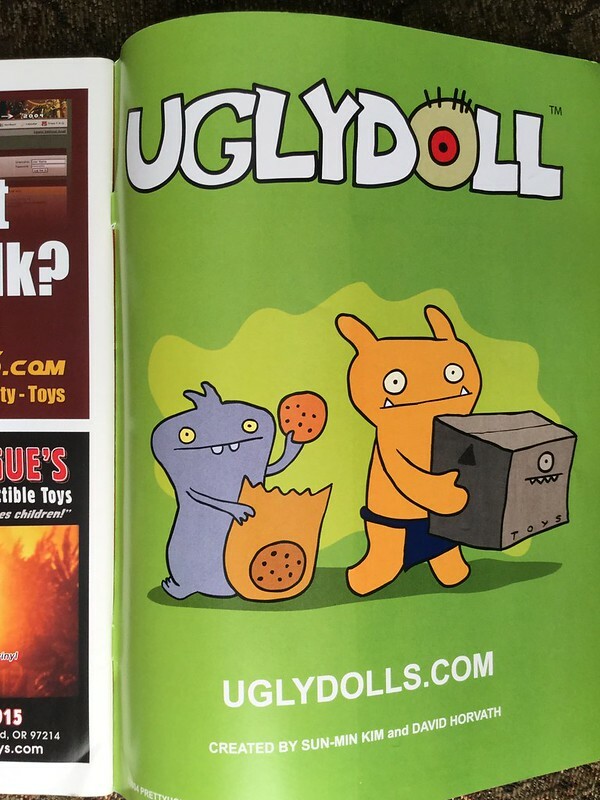 Actually my main complaint about the movie trailer was the UglyDolls aren't ugly and so the "Be Yourself" thing doesn't work as well as if it were the Fugglers that got their own movie. But actually I'm sure Fuggler's can't speak coherently, judging just by how they look, so that'd be a whole other sort of movie. I don't mind, it makes them cuter. 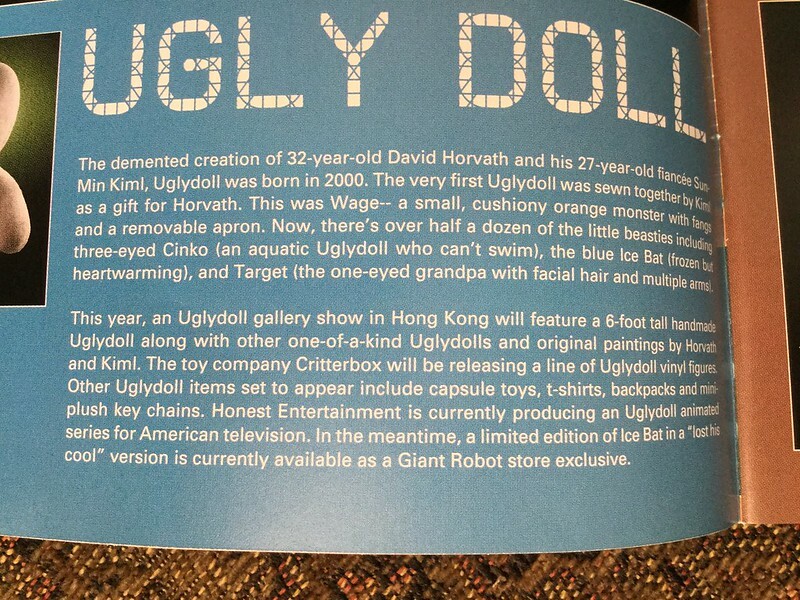 However, I really want the PrettyDolls to get real dolls because they are really cute, especially "Male doll slash model". By the way for quite the while I thought Fugglers stood for Hugging Ugly Monsters but it's actually Funny Ugly Monsters. It makes much more sense the other way. There's not much that's unique here, I think. The main character seems really bland. Oh @ZootyCutie your collection is cool. 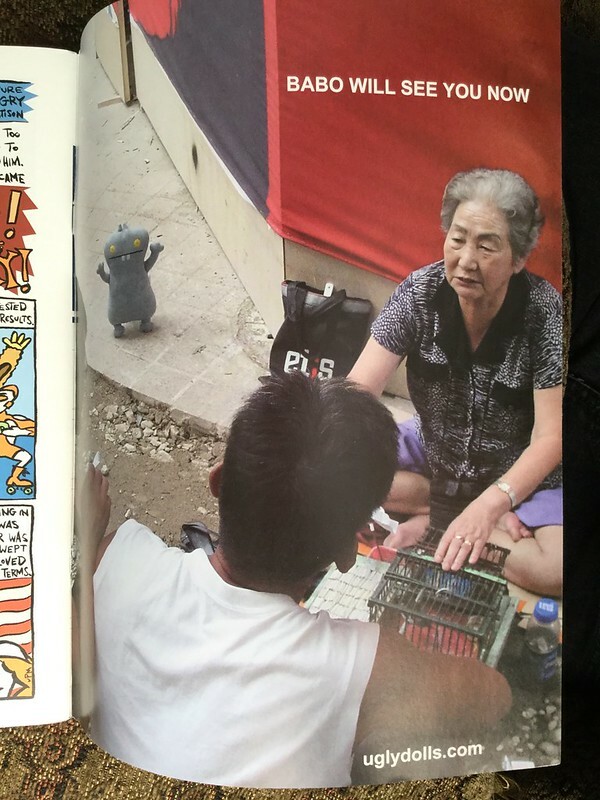 I bought this issue of Super7 magazine back in 2004 because it had an article on Optimus Prime. 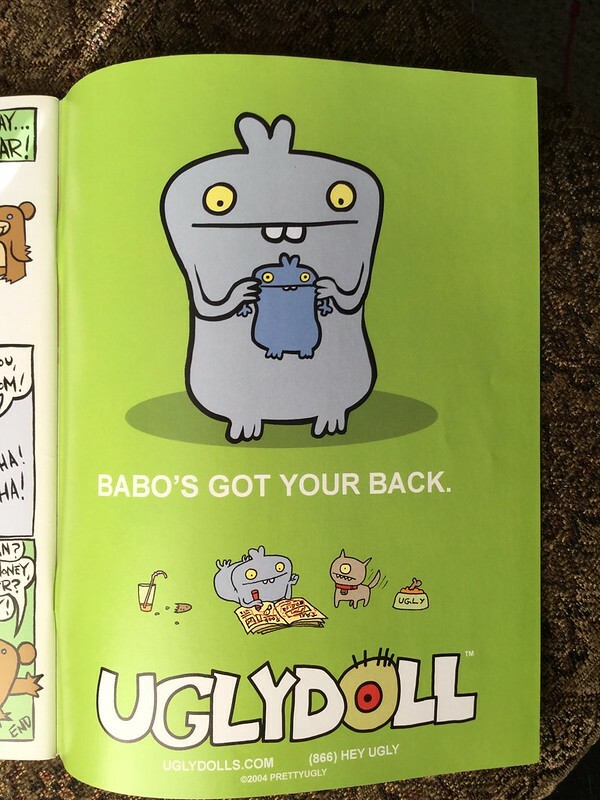 It also had this little bit on UglyDolls. That was my first experience with Uglies. I just dug it out of my attic a few weeks ago. Here's some ads from a few more issues of that magazine. Over the past eight years or so, I've picked up a bunch of the keychain plushes. The height of my active collecting was a few years ago when they were at Toys R Us. They were on huge clearance, but I restrained myself. I regret that now. I should have bought them all!! I'm at the exact same "should have bought them" when it came to the keychains, they had the Star Trek crossover ones at an indie toy store a couple years back, and I squandered my chance in getting them, so the only keychain one I have is one of the Universal Monster crossovers from one of those "art toy stores" that was dwindling in Uglydolls content when I went. I'm considering getting one of the movie keychains when they come out, but I might hold out until Ice-Bat's releases for the second wave. Only learned about them by playing their table top game, where you match and grab them. Fun, screaming chaos. I haven't followed the brand or anything but the movie trailers do look quite entertaining. 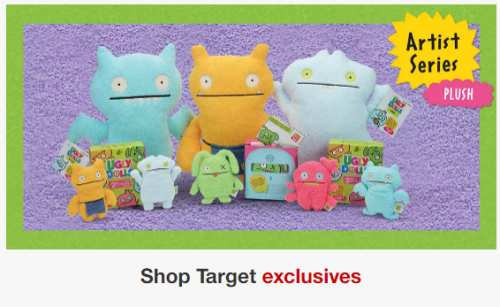 So, this is something that Hasbro's doing for the Uglydolls brand exclusively for Target, and I am so excited for it! I love how they're still hearkening back to the classics, even with the new style that the movie is taking the franchise. Such a shame this had to sell out of its preorders the day of, though! 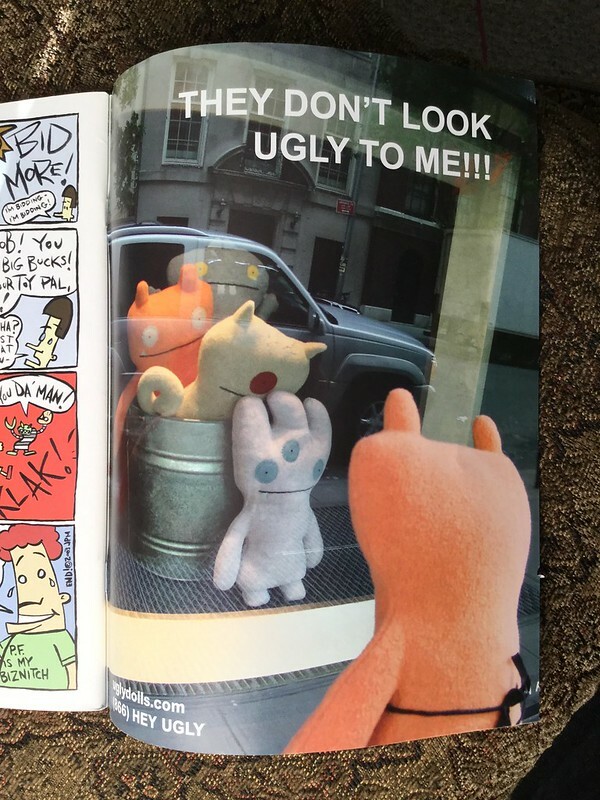 I was so into ugly dolls as a child super stoked that theyre getting a movie!! !